Excerpted from The Dilemmas of Lenin, by Tariq Ali, Verso 2017. Two American journalists, John Reed and Albert Rhys Williams, were observing the events in Russia close-up and summarising the day to each other before sending their reports back to the United States. Reed had arrived in the country later than Williams and was being briefed in some detail by his colleague, who explained the impact of the April Theses. ‘Then those who hack away at Lenin claim that the bourgeois political revolution of February isn’t complete, is that it?’ Reed said. 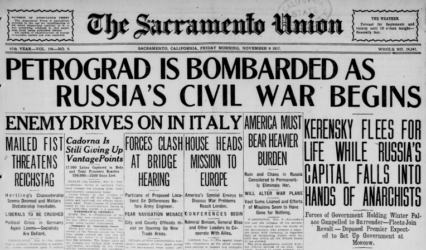 Reed was impatient and wanted to know when the Bolsheviks would strike. Williams replied that a strike would only take place when they had a majority. By October the Bolsheviks had won a majority in the Moscow and Petrograd soviets. They were the strongest political current in factory committees in many smaller towns where they did not control the soviets. This combination was decisive, added to which peasant militancy was setting the countryside alight, with land seizures reported from throughout the country. The nationalities were flexing their muscles and from the trenches of the eastern front to the factories and city centres, the demand for peace had become unchallengeable. Military revolutionary committees under the Bolsheviks were springing up in many towns. Leon Trotsky, recently released from prison and elected chairman of the Military Revolutionary Committee (MRC) of the Soviet, now began to prepare the insurrection of 25 October. The garrison was under the control of the MRC, and Red Guards from the factories were linked to strategically important regiments. Elections for new unit commissars in the military units of the garrison saw most of the Menshevik and SR commissars voted out and replaced with Bolsheviks. In reality power now lay in the hand of the Bolshevik Party. The final assault on the Winter Palace was more of a formality, a symbolic event and far less dramatic than its depiction by Eisenstein in October. The resistance was pitiful. A few days later on 25 October, the two men set out early for the meeting of the soviet where the announcement was about to be made. The Bolsheviks had taken power. 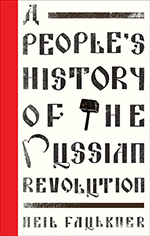 Excerpt from A People’s History of the Russian Revolution, by Neil Faulkner, Pluto Press, 2017. The Second All-Russian Congress of Soviets which assembled on 25 October was the ‘parliament’ of the new revolutionary regime. Because delegates continued to arrive from remote regions, and because party allegiances were sometimes uncertain, we do not have precise figures for the balance of forces. What is clear, however, is that the Bolsheviks were the largest party, with about 60 percent of the seats, and their Left Social-Revolutionary allies accounted for another 15 percent or so, giving the Left a thumping majority. The Mensheviks and Right SRs immediately walked out, refusing to recognize the insurrection, leaving only some smaller left groups alongside the Bolsheviks and Left SRs. The Congress set up a new government, the Council of People’s Commissars (the Sovnarkom). This body, which initially numbered 15, was the ‘cabinet’ of the new regime. The most important members were Lenin, who was Chairman, and Trotsky, who was first Commissar of Foreign Affairs and later Commissar of Army and Navy Affairs. History records only a few such instances of genuine people power. The new ‘ministers’ had to hand-write their own decrees for lack of clerical assistants. The new ‘cabinet secretary’ had to bang out the minutes on a commandeered typewriter with two fingers because there was no typist. The new ‘Finance Minister’ owed his appointment to the fact that he had once worked as a clerk in a French bank. When the ‘War Minister’ tried to flag down a car in the street to take him to the front, he was told it belonged to the First Machine-Gun Regiment and he could not have it. I stood there watching the new delegates come in – burly, bearded soldiers, workmen in black blouses, a few long-haired peasants. The girl in charge….smiled contemptuously….’See how rough and ignorant they look! The Dark People…’ It was true: the depths of Russia had been stirred, and it was the bottom which came uppermost now. Let us suppose for a moment that the Bolsheviks do gain the upper hand. Who will govern us then? The cooks perhaps, those connoisseurs of cutlets and beefsteaks? Or maybe the firemen? The stableboys, the chauffeurs? Or perhaps the nursemaids will rush off to meetings of the Council of State between the diaper-washing sessions. Who then? Where are the statesmen? Perhaps the mechanics will run the theatres, the plumbers foreign affairs, the carpenters the post office. Who will it be? A decree on workers’ control (14 November) stipulating that workplaces were to be run by ‘all the workers of the given enterprise through their elected bodies’ in the context of ‘planned regulation of the national economy’. A decree on participatory democracy (22 November) arguing that ‘the electors’ right to recall those elected’ was ‘the fundamental principle of true democracy…. [in]….all representative assemblies without exception’. Two decrees on the emancipation of women (16 and 18 December) declaring full equality of men and women, making divorce automatic upon request by either spouse, and legitimising children born out of wedlock. We love the Raucous Rooster. But it our favorite online publication trying to encourage us to overthrow the government? Won’t it just eventually succumb to entropy all by itself? Yeah, a little revolution might be worthwhile about now. But I’ll take the bloodless variety, please. RR’s current goal is a little smaller than inciting one of those. We’re taking a deeper look at the past to explore how we arrived where we are vis-a-vis our relationship with Russia today. 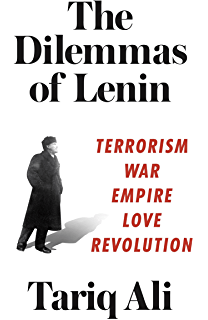 The Russian Revolution terrified or inspired a big chunk of humanity and the echoes of that fear and inspiration remain, influencing current attitudes towards Trump, Putin, elections, NATO/Russia nuclear strategy and more. We’d like to know what, among all that fear and inspiration caused by events that took place over a hundred years ago, was ultimately justified.